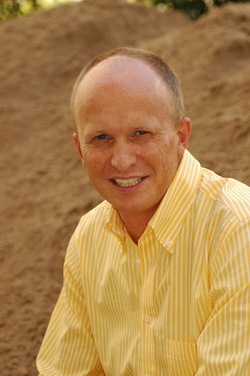 Dutchman Marc de Ruiter fills a unique niche in China. By combining his professional and educational background in agricultural production, a desire to help indigenous dairy farmers and his nostalgia for the tastes of his homeland, de Ruiter founded Yellow Valley, a producer of artisanal, fair trade cheeses based in Shanxi province. We spoke with Marc recently about the ins and outs of his work and how Gouda cheese can be used in a Chinese dish. How did you start working in China? During my studies I developed a strong desire to go overseas to help and serve small-scale farmers. In 1997 I decided to move to China, and in 2000 I joined a development project in Shanxi as Agricultural Project Director. At what point and why did you decide to make artisanal cheese here? I decided to start making cheese in 2003 due to the hardship dairy farmers were facing. Small-scale farmers were dumping their milk, as there was no good market in China for milk at the time, nor were there any logistics for collection and processing. As a Dutchman, I knew that when there is an oversupply of milk, we make cheeses with it to absorb the milk, so I naturally looked into making cheese. Another reason was the fact that there are no farmhouse artisan cheeses or truly natural cheeses made in China. We were also missing real cheeses with natural flavors. All these things compelled us to start making cheese. How large of a staff do you employ? We currently have 12 people working for us, all local employees. Yellow Valley guarantees antiobiotic-free milk and cheeses. Do you own your own cattle and dairy farm? We don’t have our own cattle, as our objective is to be a fair trade company working with small-scale farmers. We know each farmer; we visit their farms and know how much milk they can deliver. We have contracts and pay them between 10 and 30 percent above the market price for milk, depending on the season and average market price. Over the year, that means they get 20 percent more than if they sold to the big companies in China. Can you expand on some of your “natural” production practices and how you go about ensuring quality control? By checking the quality of the milk, we can ensure the natural or “organic” aspect of the milk. By using our lab, we can guarantee antibiotic-free milk and cheeses. Furthermore, our farmers do not use any product that would deem the milk non-organic. All the corn used to feed the cows is “almost” organic – they do not use any pesticides or insecticides throughout the season. By “almost” organic, I am referring to US standards that require the soil to have been free of artificial fertilizers for a certain number of years – we can’t guarantee these same standards in China. Since I have worked with the farmers for more than eight years, I know they hardly use any artificial fertilizers in their corn crops. In our area, due to the soil conditions, we still need to use a very tiny amount of fertilizers to give the crop a good start in the early season. Afterwards, nothing is needed. We hope in the future to be able to improve the farming methods to achieve more sustainable levels. Everything takes time. What about the fair trade aspect? How have you been able to ensure that your cheeses are sold under this principle? I believe we are perhaps the only company in the world making artisanal, natural fair trade cheeses. We ensure our fair trade practice by honoring our contracts with the farmers. One of our current goals is to ensure people understand and know that we are a fair trade organization. We are now in the process of designing a new label that puts out a clearer message, referencing our fair trade milk. 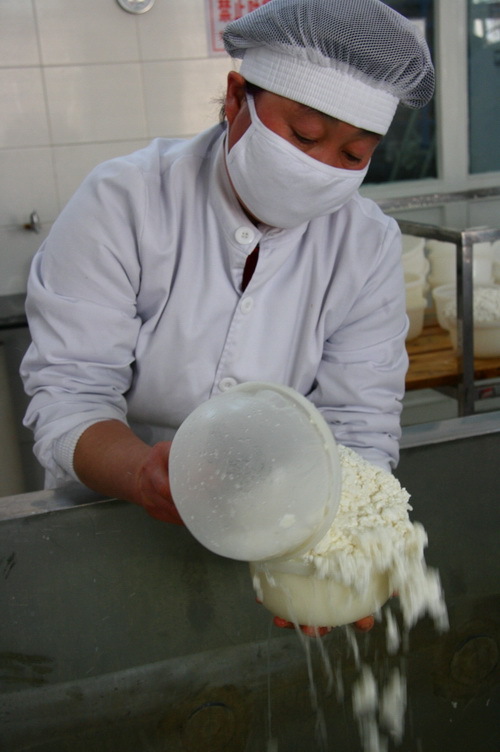 What evidence have you seen that has demonstrated the success of your initiatives in helping dairy farmers (and others) in Shanxi and beyond? This is a question that I’d answer with some degree of caution. Claiming success is very easy; many bigger development groups and businesses do this. I like to look at the long-term impact, not just the short-term. Having said this, we know from our own evaluation and external evaluation that our pig-raising programs were very successful and still are. For example, we were able to get 40 percent of the farmers to switch to our breeds within three years. Slaughterhouse companies pay farmers a bonus if they can prove the breeds have come from our project. You sell a variety of Gouda cheeses. How did you go about devising these flavors, and what’s your favorite? And are there any new cheeses on the way? We are experimenting with truffle cheeses, but our problem is getting a good truffle supply – it’s not easy to get good and affordable truffles in China. However, we’ll be making them soon and will offer them on our website. 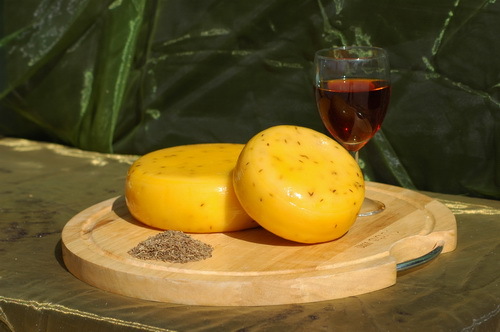 What do you think is the main appeal of Gouda? Generally speaking, Gouda is a cheese for all occasions. It keeps well and ages well over time, and can be used with many dishes without overpowering the original flavor of the dish. Old grated cheese (which we sell directly from our website) is an excellent and more affordable substitute for Parmesan. What’s the best way to enjoy your cheese? Is there a simple dish or recipe you can recommend that uses Gouda? I have to be careful here. Our Gouda goes well with wines at parties. It can be good at breakfast or grated in pastas. Or if you like Chinese food, ask your ayi to use our cheeses in dumplings or noodles. Another option is to cut the cheese into small pieces and mix it in with a broccoli wok dish.